The group said in a statement it was carried out by "a heroic soldier". The gunman is still at large and a manhunt is under way. Police say they have made 12 arrests so far. 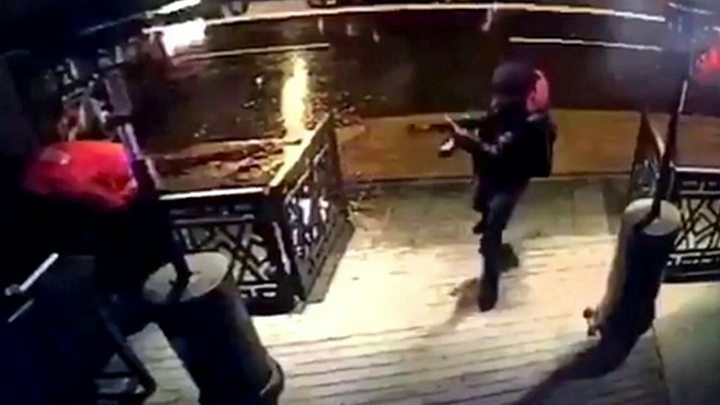 Late on Monday, Turkish media said special forces police backed by a helicopter launched an operation on a house in the Zeytinburnu district following a tip but that the attacker was not found. 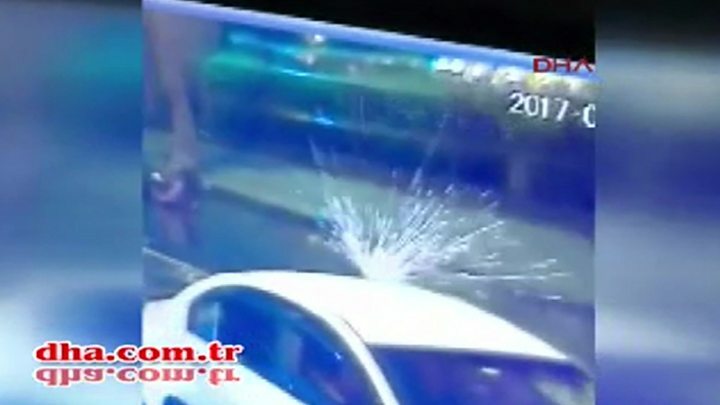 Media captionClub-goer Francois al-Asmar: "He was shooting us on the floor"
Turkish media later showed video purported to be of the suspect at an unidentified date and location where he is seen handing over identification documents to an official behind a glass window. The video cannot be independently verified. "They are trying to... demoralise our people and destabilise our country," he said. Some two-thirds of those killed were foreign, according to local media, among them citizens from Israel, Russia, France, Tunisia, Lebanon, India, Belgium, Jordan and Saudi Arabia. A complete record of those killed has yet to emerge. The body of one of those who died has yet to be identified. 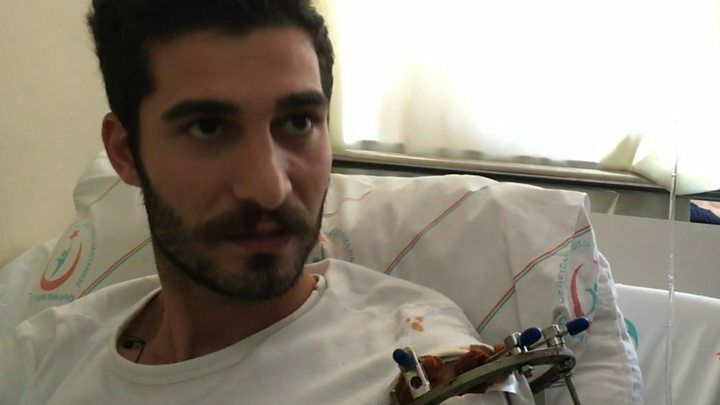 Security guard Fatih Cakmak was one of the first to die. The nightclub, which sits on the banks of the Bosphorus, is one of Istanbul's most fashionable venues - popular with foreigners and often frequented by singers and sports stars. Some guests are reported to have thrown themselves into the water to escape.